The year was 1999. Y2K loomed large, people actually used America Online via 56K modems, and I had just been taken out of school early by my parents to see Star Wars: The Phantom Menace at the Cinerama. As a fifth-grader, I remember thinking it was mostly alright. 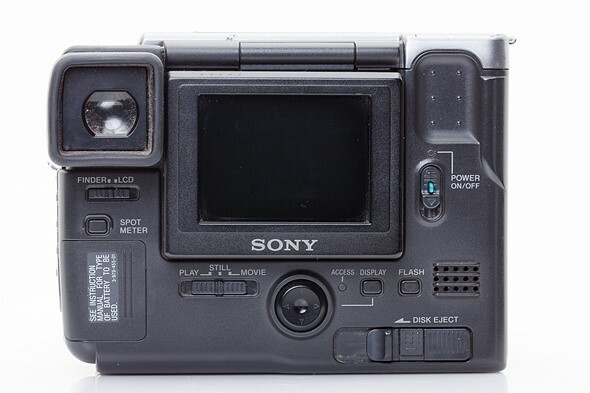 People in 1999 probably thought the Sony Mavica FD-91 was mostly alright, too. Phil Askey certainly thought so. It has an optically stabilized zoom lens with plenty of reach, abundant external controls, a viewfinder, and… XGA resolution. As such, the image quality was pretty poor, even by contemporary standards. Now that’s saying something. 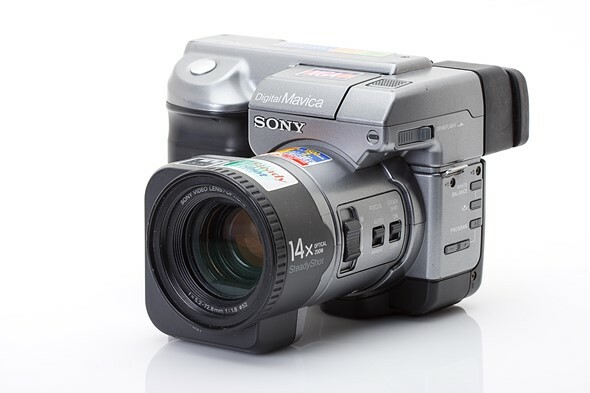 So, with the benefit of seventeen years of hindsight and experience (yes, I know now that the Phantom Menace was pretty terrible), what stands out about this quirky camera today? High on the list of things I will never be nostalgic about – garish stickers adorning my high-end electronics. The 20-cent stamp on the ‘e-mail’ portion is a nice touch, though. One thing’s for sure: there’s only so much detail you can get when you’re talking XGA resolution. My favorite part of having this camera in the office so far (apart from the amazing Gameboy-esque beeps it makes – listen to them in the video at the end of the page) was Sam opening up some images in Adobe Bridge, going full-screen to see the image at 100% – and it actually shrank compared to the filmstrip view. But that resolution did allow you to use floppy disks as storage, and depending on your settings, you can fit anywhere from 6-13 images on one. 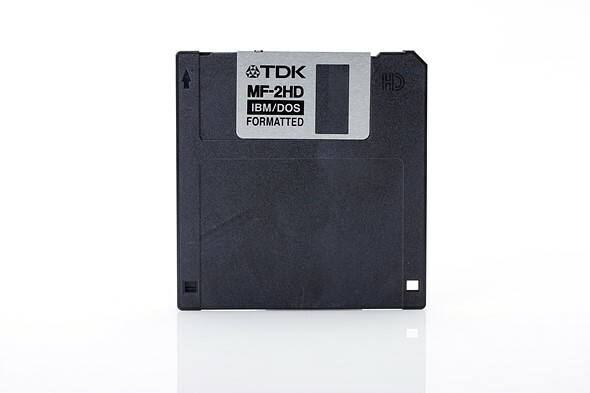 If you work in corporate America, I can all but guarantee you that there’s boxes of unused floppies sitting at the back of some copy room drawers. And guess what? You can still read them. 1.44MB, in all its floppy glory. The sound of the camera spinning these up and writing images to them – now that’s something I can get nostalgic about. So the image quality generally stinks, and when light levels approach dusk, you may as well be shooting with the lens cap on. But despite that and the wonky (but comfy-to-hold) form factor, the FD-91 is remarkably well-specced. You get a 14x optically stabilized zoom (the big block at the front of the camera is the stabilizer unit), auto and manual focus, white balance control, full manual controls (the slowest shutter speed is 1/60 sec), a selfie-friendly flip screen and a built-in flash. 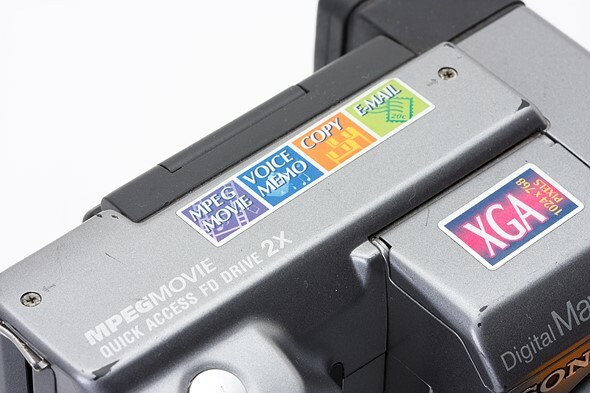 It even records movies to floppy disk at a maximum resolution of 320×240 pixels. Amusingly, the clips max out at five seconds long. And we thought the original three minute limit on 4K for the D5 was questionable. How did Sony know to make a top-hinged selfie screen way back in 1999? With foresight like that, we should all have been using Betamax. In the end, the Mavica FD-91 is a fun toy, or a great conversation piece. Or you can use it to teach your kids about the upsides and downfalls of technologically ancient storage solutions (what, am I the only one who thinks about that sort of thing?). The batteries are still easy to find, even. But as a fun, classic digital camera to actually use for photography – there are better options out there. Did you ever have a camera that used floppy disks? How about the follow-up models that used CDs or DVDs? Let us know in the comments!